I've been posting fun ideas for Christmas gifts - and sharing give-aways to make them even more fun, but I also have some great gift ideas which were sent to me for review, but do not have give-aways available. So this week, I want to let you know about these fun items as they may be just what you are looking for as you finish your gift shopping! Today I'm beginning with Lazer Pegs! We are all familiar with building brick sets for children; for good reason as they are a favorie toy for most children! But, can you imagine the delight of your favorite little "builder" if they were to discover their building bricks light up?!!! This is what happens with Lazer Pegs! Sets build item featured, and several additional models as well! Pegs light up for unique fun! Encourages imagination, creativity, fine motor skills, thinking, interacting, problem solving and fun! 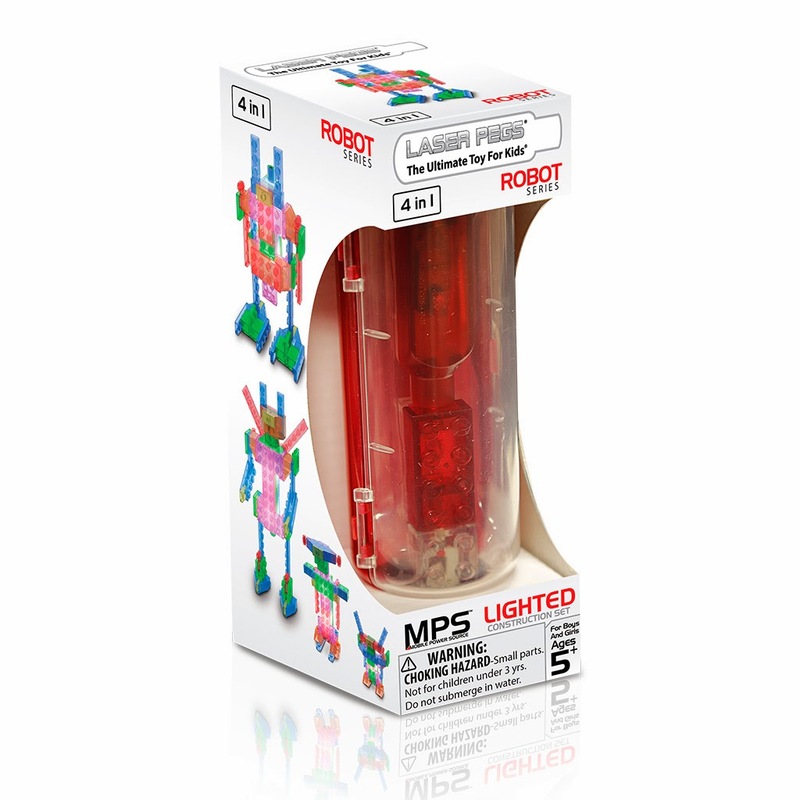 Lazer Pegs has this to say about their Robot Series; "The MPS Robot four-in-one building set offers creative light up models including the Helper Bot, Android, Worker Robot, and the Mini Android. Complete set includes the MPS (Mobile Power Source), 2 Laser Pegs, and 61 construction parts. 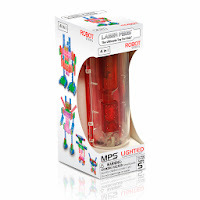 This educational toy for kids will instill creativity and promote imaginative play with all four of the MPS Robots!" I think it is a great item for an add-on gift, gift exchange, stocking stuffer or as a gift you can give for under $15! It is sure to be played with over and over and one which will happily be displayed by your grandchild for others to see what they built! Definitely very cool! 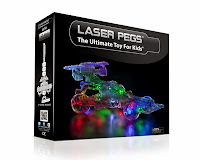 Lazer Pegs has this to say about their Indy Car set; "Race toward fun with Laser Pegs’ 12-in-1 Race Car kit. This LED lighted construction set comes with everything you need to build limitless designs, including an Indy race car, star ship, V racer, tractor, monster truck and more. It combines 2 things kids love: light and building, making it a great gift which appeals to girls and boys of all ages." I love how this set can build twelve different items . . . plus whatever your grandchild's imagination creates! This is also a definitely, very cool gift idea!